Your tools must be well organized in your garage to avoid clutter. The place to begin is with the elimination of what you no longer need. Professional garage cabinets will give you the required space to store your tools, cleaning supplies, and assorted items. The clutter will begin to disappear and it will become easy to locate specific items. 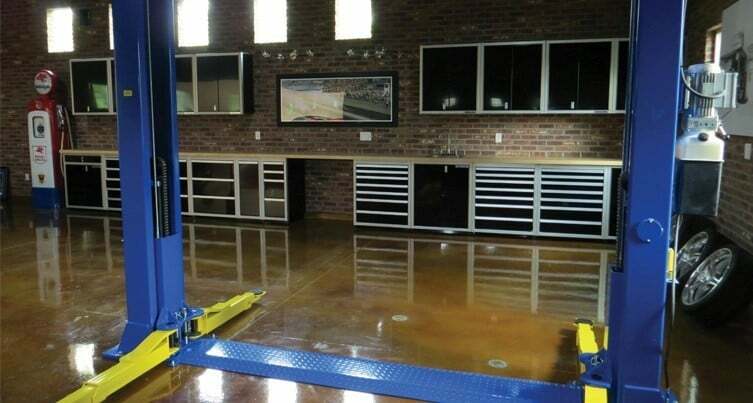 Your garage can be customized to fit your specific needs. Car parts can be stored so they are easily accessible for repairs. Spending time searching for the right tool or part becomes frustrating and can be avoided. A premium cabinet system is capable of organizing your tools, car parts, and accessories to make them easily accessible. Garage cabinets with drawers and shelves keep your items organized without taking up a lot of room. Shelves in closers and base cabinets are the perfect place to store motor oil, windshield, and transmission fluid and assorted cans and bottles. Closet poles will hold the clothing or overalls you use when you are working on your vehicle. Drawer dividers and plastic drawer bins will keeps assorted nails, screws, bolts, etc. separated and easy to locate. Pull-out shelves provide easy access to bulky items. It’s easy to trip over objects lying on your garage floor. This can be especially dangerous if you have small children or pets. Professional garage cabinets will help prevent trips, falls, and potential injuries. All of your items will be neatly stored, stay clean and be ready for you to use. The stress associated with locating certain items or trying to figure out what you actually have will be eliminated. All of this can be accomplished easily simply by consulting with trained cabinet experts. At Moduline, we suggest layout and design ideas for your space. Then we create CAD drawings so you can see what your cabinet system will look like. Call today to get started 888-343-4463.